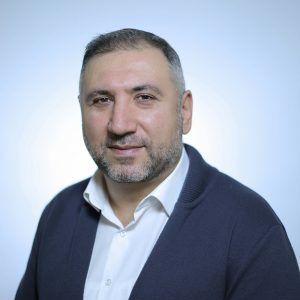 Dr Gurgen Aslanyan has served as an adjunct lecturer at the American University of Armenia since 2016. Currently he is a Teaching Fellow at CERGE-EI Prague and a Researcher at the Economics Laboratory of the Ural Federal University. Prior to that he has been teaching (classroom, seminars, trainings) in the Czech Republic, Slovakia, Croatia, Georgia, Russia, the UK, and the US. Dr Aslanyan is a Development Economist with a focus on policy evaluation. 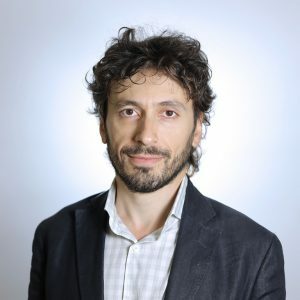 Over the years he has consulted private and public sector, such as the Central Bank of Armenia, and as a researcher has been affiliated with the University of Pennsylvania and the Czech Academy of Sciences. 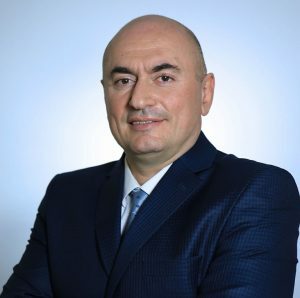 Dr Gurgen Aslanyan has presented his research and published internationally, is a recipient of various awards, and currently is elected to serve as the President of the Armenian Economic Association. He holds dual doctorate degree from the Charles University in Prague and the University of the State of New York. Non-Selective Migration and Unfunded Public Pensions: Can They Coexist? 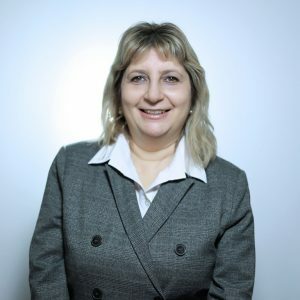 Karen Sarkavagyan joined the MSCBE team in Fall 2013 to teach Introduction to Business to undergraduate freshman students. Since 2015, he has been teaching Start-up Management to undergraduate junior and senior students. 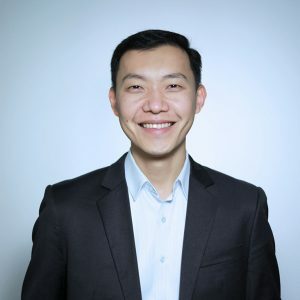 Karen is also involved in coordinating the internship program for undergraduate students, and he has been a supervisor to MBA Capstone projects. Karen’s research interests include entrepreneurship and small business management. Karen has been with Every Day CJSC since 2008, where he earned most of his experience in small business management. Before that, Karen worked in commercial lending. He earned his MBA from University of Oregon. 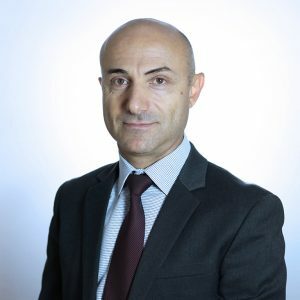 Vahe Odabashian joined the MSCBE team in Fall 2015 as an Adjunct Professor of Operations Management and Management Information Systems. 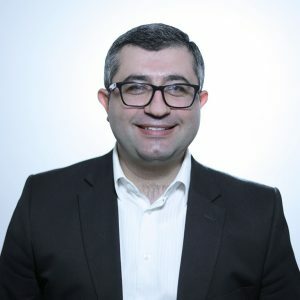 He holds MBA in Business, Government and Not-for-Profit Management degree received with honors from Willamette University, Salem, OR, USA, and a PhD degree in Industry Economics and Management from Yerevan State University. For ten years he has held executive positions in American-owned hi-tech companies in Armenia. After that Mr. Odabashian has been involved in various projects as a consultant, such as the World Bank/IMF Readiness for Investment in Sustainable Energy, UNIDO GEF Global Cleantech Innovation Program and many more. He also has been teaching at the National Polytechnic University of Armenia since 2003. Mr. Odabashian has coauthored six textbooks currently used as teaching material for BSc and MBA students at several Armenian universities, as well as numerous articles and other publications. He has been a frequent presenter at conferences, industrial exhibitions and other events both in Armenia and abroad. 1. V. Odabashian, G. Karamyan, Fuel Cells Development in Armenia, Renewable Energy: Reality and Perspectives. Conference Proceedings, Yerevan, 2003. 2. G. Karamyan, R. Mnatsakanyan, H. Sargsyan, Kh. Gyulumyan, V. Odabashian, A. Manoukian, V. Melikyan, V. Vardanyan, A. Danielyan, Development of Fuel Cells by H2 ECOnomy, 2003 Fuel Cell Seminar: Fuel Cells for Secure, Sustainable Energy, Miami Beach, FL, USA, November 3–6, 2003. 3. V. Odabashian, A. Tadevosyan, and A. Manoukian, International Business Basics, Tchartaraget, Yerevan, 2003, (in Armenian language, Textbook adopted for instruction at State Engineering University of Armenia). 4. A. Manoukian, A. Tadevosyan, and V. Odabashian, International Management, Tchartaraget, Yerevan, 2004, (in Armenian language, Textbook adopted for instruction at State Engineering University of Armenia). 5. A. Manoukian, A. Tadevosyan, V. Odabashian and A. Lalayan, Manual on International Marketing, Tchartaraget, Yerevan, 2005, (in Armenian language, Manual adopted for instruction at State Engineering University of Armenia). 6. A. Tadevosyan, N. Beknazaryan, V. Odabashian, A. Manoukian, G. Shushanyan, Optimized Decision Making in International Business and Marketing: Practical Problems, Tchartaraget, Yerevan, 2006, (in Armenian language, Textbook adopted for instruction at State Engineering University of Armenia). 7. V. Odabashian, A. Manoukian, A Hydrogen Outlook from a Transition Economy: Development of Hydrogen Fuel Cells by H2 ECOnomy in Armenia. The International Seminar on the Hydrogen Economy for Sustainable Development, Reykjavik, Iceland, September 28-29, 2006. 8. A. Manoukian, V. Odabashian, R. Mnatsakanyan, Certain Prospects of Higher Temperature PEM Fuel Cells Research and Development, 2006 Fuel Cell Seminar, Honolulu, HI, USA, November 13-16, 2006. 9. V. Odabashian, Financing Innovation and Technology: H2 ECOnomy’s Case, Advancing Innovation in ECA 2007 Conference, Yerevan, Armenia, September 17-20, 2007. 10. V. Odabashian, IC Technologies in the Renewable Energy, Bridging the Development Gap: Sustainable Growth in Information and Communication Technologies and Hi-Tech through Education, American University of Armenia, Yerevan, November 20-23, 2007. 11. V. Odabashian, S. Khachatryan, Renewable Energy in Armenia, “21-st CENTURY”, Yerevan, No. 1 (3), 2008 (English language edition). 12. V. Odabashian, Hydrogen Economy, ArmTech Congress ’08, Yerevan, Armenia, October 4-5, 2008. 13. A. Ranjbari, S. Grigoriev, V. Odabashian, V. Fateev, Y. Lu, P. Millet, Reversible Electrolyzer-H2/O2 Fuel Cells Using PEM Technology, Fundamentals and Developments of Fuel Cells Conference 2008 – FDFC2008, Nancy, France, December 10-12, 2008. 14. V. Odabashian, H. Altunyan, S. Khachatryan, The Role of Renewable Energy in Development of Innovation System in Republic of Armenia, The 4th International Renewable and Clean Energy Conference, Yerevan, October 5-7, 2009. 15. V. Odabashian, Hydrogen Economy: Recent Developments and Prospects, Round Table Discussions on the Renewable Energy Development Roadmap in Armenia, Arzakan, Armenia, June 25-26, 2011. 16. V. Odabashian, H. Gzraryan, E-business as a Modern Form of Economic Activity and Management, State Engineering University of Armenia Bulletin: Collection of Scientific Papers, Tchartaraget, Yerevan, 2012. 17. V. Odabashian, Economic and Marketing Considerations of Applying Renewable Energy Sources in the Telecommunication Industry, State Engineering University of Armenia Bulletin: Collection of Scientific Papers, Tchartaraget, Yerevan, 2013. 18. V. Odabashian, Fuel Cells: Industry Trends, Technological/Economic Considerations and Commercialization Barriers, The 5th International Renewable and Clean Energy Conference (The Prospects of Low Carbon Development in Armenia), Yerevan, Armenia, October 24-25, 2013. 19. V. Odabashian, Some of the Current Realities in Commercialization of Hydrogen and other Fuel Cells Technology, State Engineering University of Armenia Bulletin: Collection of Scientific Papers, Tchartaraget, Yerevan, 2013. 20. V. Odabashian, Enabling Environment for Development of Renewable Energy in Armenia: a Summary of the RISE Project, Renewable Energy Conference in Armenia (by R2E2 and Konrad Adenauer Stiftung), Yerevan, Armenia, December 10-11, 2014. 21. A. Manoukian, H. HassabElnaby, V. Odabashian, Impact of Management Compensation on Success of Startups. Proceedings of the 2014 Annual Meeting of the Decision Sciences Institute, Tampa, FL, USA, 2014. 22. V. Odabashian, The UN Initiative “Sustainable Energy For All” and Results of a Study on Investment Environment For Sustainable Energy Development In Armenia, Annual Scientific Conference of the State Engineering University of Armenia, Yerevan, 2015. 23. A. Manoukian, H. HassabElnaby, V. Odabashian, Technology Commercialization Review: Aiming at a Fresher Perspective Based on Partnership Synergy, International Journal of Management Research & Review, Volume 5, Issue 7, July 2015. 24. A. Manoukian, H. HassabElnaby, V. Odabashian, A Proposed Framework for Renewable Energy Technology Commercialization and Partnership Synergy: A Case Study Approach, American Journal of Business, Volume 30, Issue 2, pp. 147 – 174, 2015. 25. V. Odabashian, Innovation and Innovative Technologies: Problems and Solutions, “21-st CENTURY”, (Armenian language edition), No. 5 (69), 2016, pp. 47-68. 26. A. Tadevosyan, V. Odabashian, T. Nasoyan, Marketing of Service Industry Enterprises, Tchartaraget, Yerevan, 2016, (in Armenian language, Textbook adopted for instruction at the National Polytechnic University of Armenia). 27. V. Odabashian, The Main Management Issues of Technology Innovation Process in Academic Literature, National Polytechnic University of Armenia Bulletin: Collection of Scientific Papers, Vol. 1, 2017, pp. 477-481. 28. A. Tadevosyan, V. Odabashian, Stimulation of Innovation and Innovative Technologies as a Primary Objective of Scientific-Educational Institutions, National Polytechnic University of Armenia Bulletin: Collection of Scientific Papers, Vol. 1, 2017, pp. 482-487. 29. V. Odabashian, The Issue of Developing Cooperation and Partnership Networks in the Process of Creation of Innovative Technologies, “21-st CENTURY”, (Russian language edition), No. 3 (44), 2017, pp. 63-73. 31. V. Odabashian, A. Tadevosyan, The Problem of Forming Innovation Culture in the Process of Creating Innovative Technologies, National Polytechnic University of Armenia Bulletin: Collection of Scientific Papers, Vol. 1, 2018, pp. 317-321. 32. A. Tadevosyan, V. Odabashian, T. Nasoyan, Exercise Book for Marketing of Service Industry Enterprises, Tchartaraget, Yerevan, 2018, (in Armenian language, Exercise book adopted for instruction at the National Polytechnic University of Armenia). 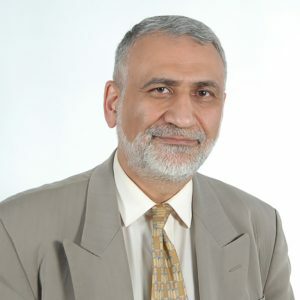 Dr. Khzmalyan teaches several courses on international law to bachelors and masters students at Russian-Armenian (Slavonic) University since 2009, where he had before served as assistant professor since 2006. 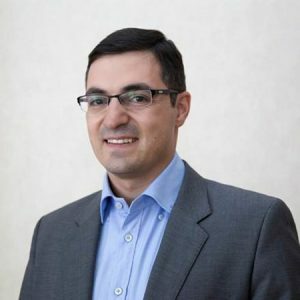 He received a legal degree from Russian-Armenian (Slavonic) University in 2006, and was awarded a Ph.D. degree in Public International Law by Yerevan State University in 2009. Dr. Khzmalyan has published several articles on international law topics in Armenian and Russian scientific journals. In parallel to his academic career, for the last seven years he occupied managerial positions in the legal field at Yerevan Brandy Company CJSC and Pernod Ricard Armenia CJSC. His experience also includes working in legal consulting with Ameria CJSC. Currently Dr. Khzmalyan is Partner, Legal Advisory, at ADWISE Business and Legal Consulting LLC. Mrs. Adilkhanyan has joined the AUA in Fall 2016. She teaches Introduction to Finance and Money, Banking and Financial Institutions courses to the bachelors of the BAB program. She has received a Master’s degree from the Yerevan State University in 2005. 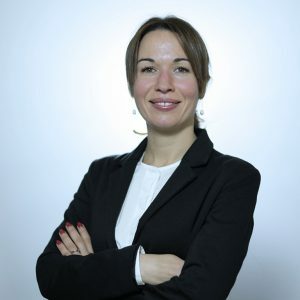 In parallel to her academic career, for the last twelve years, Isabella occupied managerial positions in several companies in the financial sector of Armenia. 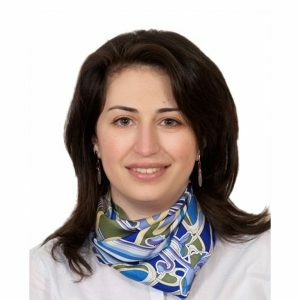 Currently, she works as Chief Financial and Operating Officer of C-Quadrat Ampega Asset Management Armenia. 2003 Isabella has earned a Bachelor’s degree in Economics and in 2005 a Master’s degree in Finance, both from Yerevan State University. Isabella is a CFA charter holder and a member of CFA Institute. Edgar Begrakyan is adjunct faculty at the MSCBE. He has joined the AUA team and teaches “Introduction to Finance” course (BUS 230) since 2015. He previously was adjunct faculty at the Yerevan State University. 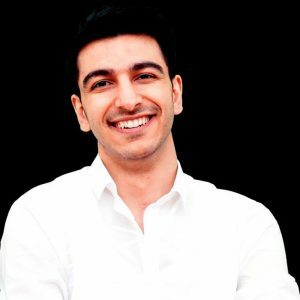 He earned his Diploma in Information Systems from Yerevan State University of Economics and his M.S. in Economics from Stockholm University. Parallel to his academic work instructor Begrakyan is supervisor at the Central Bank of Armenia. He specializes in banking supervision and credit risk analysis. Before joining the financial supervision team he was economist/researcher at the CBA and his interests were in the area of income inequality and economic growth relationship. He has several articles on examining this relationship. Adjunct faculty at AUA since January 2015, teaching Innovation, Entrepreneurship and Creativity for undergraduates at S. Manoogian College of Economics (CBE), also at Akian College of Science and Engineering (CSE), and Startup Ecosystem and Social Entrepreneurship for MSSM program, and Management of Information Systems (MIS) for MBA program. 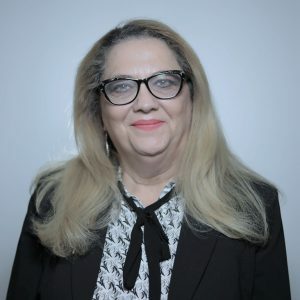 Dr. Boghosian brings international experience from eight universities, together with 16 years of work experience from USA/(NASA and Air force) organizations, where she held different positions with increasing level of responsibilities in variety of space innovations and missions programs. She is a recipient of many prestigious NASA innovation awards as well as author of 40+ peer reviewed international journals articles. 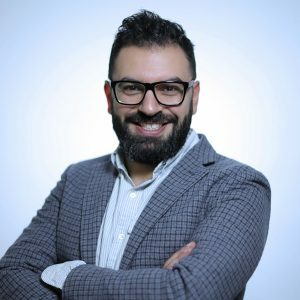 Since Fall 2015, Dr.Boghosian also teaches at Yerevan State University (YSU), School of Journalism, as Adjunct Faculty, developing and delivering graduate courses in Creativity, Innovation and Entrepreneurship in PR and Journalism, and conducting training and workshops locally. Anna Hambardzumyan is Instructor on Intermediate Managerial Accounting and been teaching at AUA from fall 2016. Ms. Hambardzumyan also teaches Managerial Accounting at the Agribusiness Teaching Center. 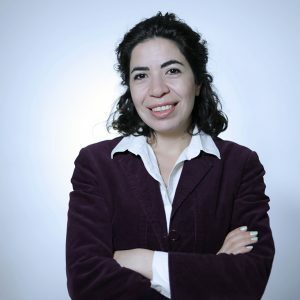 Anna Hambardzumyan has more than 15 years of experience in the financial sector. Her core experience is in internal auditing, governance, risk management, and internal controls. 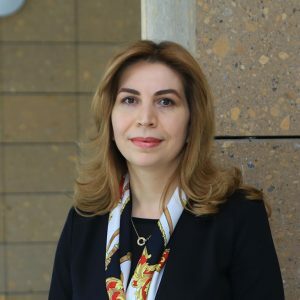 Currently, Ms. Hambardzumyan works as an Internal Auditor at the Central Bank of Armenia since 2010 and is a chartered accountant and a full member of the Association of Chartered Certified Accountants (ACCA). She is also Certified Internal Auditor and a member of the Institute of Internal Auditors. Sevak Kamalyan, MBA, Instructor on Management Information Systems and Operations Management. Sevak Kamalyan has joined the BAB team in Winter 2017. 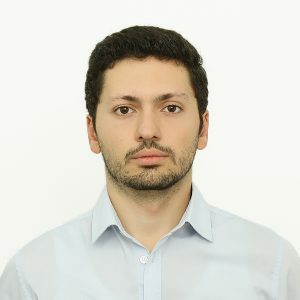 He received his MBA with concentration in Finance from American University of Armenia in 2016. Apart from academics, he is an active Entrepreneur providing Data Science services to Pharmaceutical Industry. 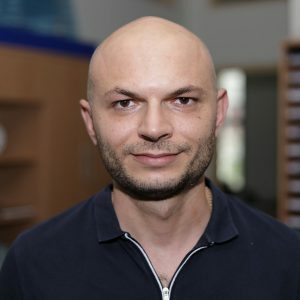 Dr. Dmitriy Kha joined the AUA College of Business and Economics in 2017, teaching Applied Statistics and Introduction to Econometrics courses to BAB students. Dr. Kha has over 18 years of teaching experience at various international institutions around the world. He played a key role in developing the International School of Economics in 2010-2014, a joint program run by the London School of Economics and Kazakh-British Technical University in Kazakhstan. Dr. Kha earned his Ph.D. in Economics from Suffolk University, Boston, MA, USA. He has published on election competition and is currently doing research in marriage economics. “Three-Candidate Spatial Competition When Candidates Have Valence: Stochastic Voting” (with Haldun Evrenk), Public Choice, June 2011, Volume 147, Issue 3-4, pp. 421-438. Prof. Martirosyan has joined the CBE team in Fall 2015. He has been teaching a wide range of mathematical courses for more than two decades at Yerevan State University. He was awarded a Ph.D. degree in Mathematical Analysis by YSU in 1999, and assigned to a position of Associate Professor in 2005. Prof. Martirosyan is author of many scientific papers published in local and international journals. In parallel to his university and research career, he is an International Baccalaureate Examiner and co-founder of Mathico. Vahe Movsisyan, PhD, Instructor on Applied Statistics course. Dr. Movsisyan has joined the BAB team in 2013. He received a diploma in Economics from Armenian State Institute of Economics in 2004 and was awarded a PhD. degree in Economics by Moscow State University of Economics, Statistics and Informatics (MESI) in 2007. 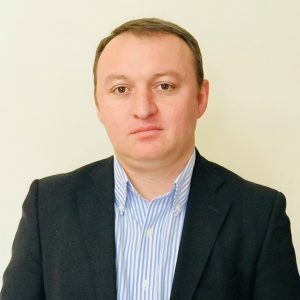 Dr. Movsisyan started his professional career as a financial market analyst at the Monetary Police Department (2005-2006) of the Central Bank of Armenia, after he moved to Statistics Department (2007-2015). In 2015 he has joined Economic Research Department. He has participated and presented methodological and applied research papers in numerous national and international conferences. He is a member of International Statistical Institute (ISI) and International Association of Survey Statisticians (IASS). 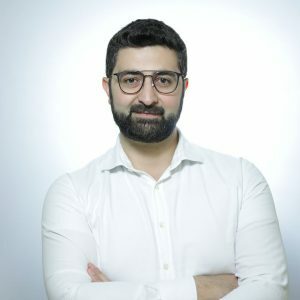 Dr. Movsisyan is a co-founder and of Datamotus LLC, a company that provides Data mining and statistical analysis services. 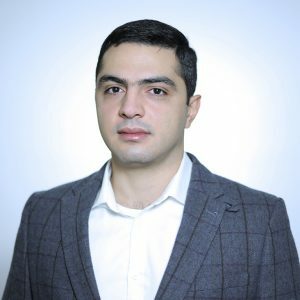 Dr. Patvakanyan has joined MSCBE team in 2017. 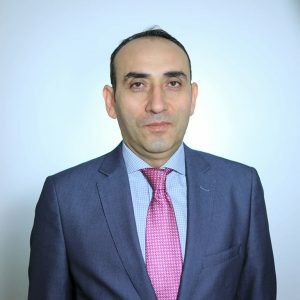 Dr. Patvakanyan taught several courses on Intermediate and Advanced Econometrics at Russian-Armenian University since 2013 and has published articles on monetary economics, migration, taxation in Austria, Germany, Ukraine, Russia, Georgia. In 2016, he published a book on “Inflation forecasting: how much should we care about external factors?” in Saarbrucken, Germany. 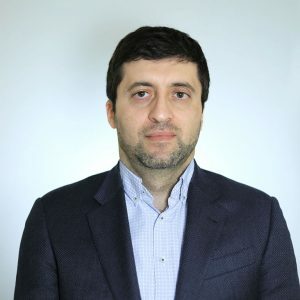 In parallel to his academic career, Hovsep Patvakanyan is working as an Economist-Consultant contracted by European Bank for Reconstruction and Development and is the Founder and CEO of the platform Invest in Armenia. For 4 years he has been engaged with Washington based Jacobs, Cordova & Associates in the capacity of regulatory cost assessment expert engaged with Governments of Armenia and Kyrgyzstan. His short-term contracts cover working with German Federal Foreign Office, US Embassy of Armenia, International Visegrad Fund, World Federation of United Nations, etc. Emil Vassilyan, FCCA, Instructor on Intermediate Auditing. Mr. Vassilyan has joined the MSCBE team in Winter 2017. 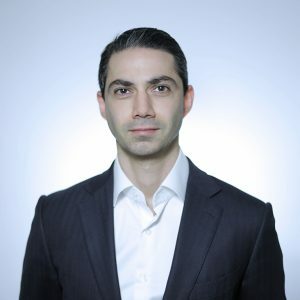 Mr. Vassilyan has an extensive training experience teaching auditing, International Financial Reporting Standards for both students and those already working in the public practice. Mr. Vassilyan has also delivered trainings for the students who desire to get the qualifications offered by the Association of Chartered Certified Accountants (ACCA-UK). In parallel to his academic career, Mr. Vassilyan is the Head of Assurance and Partner of the leading audit firm in Armenia – Grant Thornton cjsc. He has started his career in this firm from 1999 and starting from 2003 he has been promoted to a partner of the firm. 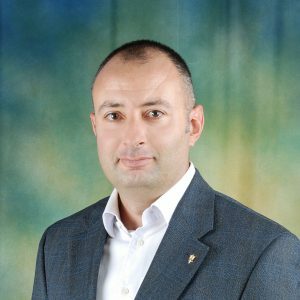 Mr. Vassilyan is also a member of different professional groups organized within Grant Thornton International (GTI). Recently he has been nominated as a person in charge for the trainings and support of the new audit tool in the regions of the CIS and the Middle East. Currently Mr. Vassilyan participates in the courses of Senior Leadership Program offered by the GTI together with the Oxford University (he will get the certificate by the end of 2018). Kristine Sargsyan is teaching business communication at American University of Armenia starting from 2016. She brings together more than twenty years of coaching and consulting experience in public speaking and organizational development. Previously Sargsyan worked for TACIS, World Learning, USDA, Unicef, UNDP, Eurasia Partnership Foundation, Caritas Armenia, Real Medicine Foundation and TED. With a background in foreign languages, Sargsyan obtained her MBA from CMU. Kristine Sargsyan is the founder and licensee of TEDxYerevan conference in Armenia. In 2010 Sargsyan became an International Visitor Leadership Program fellow – a US Embassy Program, financed by the US Department of State. She is also a TED OTP fellow and TED Global participant. In 2015 she has been recognized as one of the 28 TED-Ed Program innovative educators, selected from 250000 educators worldwide. In 2017 Sargsyan has been recognized as one of the 21 remarkable women changing the Eastern Europe. 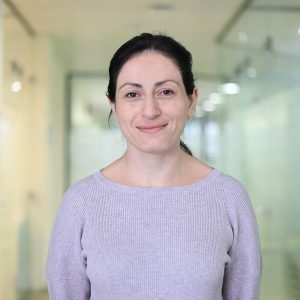 In 2018 Kristine Sargsyan has become a Skoll World Forum fellow, at Oxford Saaid Business School. Anna Tabidze, Instructor of Social, Legal and Ethical Environment of Business has joined MSCBE team upon relocation to Armenia in January 2017. Ms. Tabidze has graduated from Rijskuniveriteit Groningen in the Netherlands and Tbilisi State University in Georgia, currently she is engaged in postgraduate study at University College London, the UK. Anna Tabidze has served as an assistant professor since 2007 at Caucasus University, School of Law as well as at the Center of Social Sciences, Tbilisi State University/Soros Foundation. Along with her academic career, Ms. Tabidze has carried out research on Crimes Against Humanity in East Timor, served as a consultant with international organizations in Sri Lanka, Georgia and Armenia and has worked at the European Court of Human Rights in Strasbourg, France. Ms. Tabidze’s private sector experience covers legal practice with MKD Law Firm since 2007 advising KPMG, NewsCorp and Rompetrol on market applicable legal regulations. 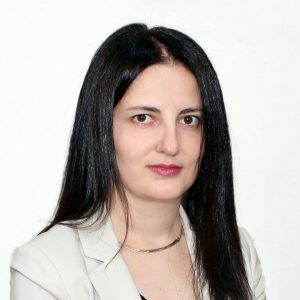 Public sector employment of Ms. Tabidze includes her engagement as a legal specialist with the investigation team of the Ministry of Defense of Georgia on sexual misconduct in peacekeeping missions abroad. Marianna Movsesyan, MBA, ACCA, joined the MSCBE team in Spring 2014. Ms. Movsesyan teaches Introduction to Financial Accounting and Introduction to Managerial Accounting in BAB program. Her academic experience includes teaching ACCA courses in IAB center. Marianna has extensive experience in audit and assurance with PwC including managing audit engagements and supervising professional staff. Her career with PwC also brought her to Moscow where she worked for the Insurance division for two years. Her clients included Kapital Insurance Group, Chartis, Alico, ACE Insurance, Zurich Insurance, etc. In parallel to her academic career, for the last four years, Ms. Movsesyan occupies the position of the CFO at Megafood LLC, a company specialized in import and distribution. Marianna earned her MBA from AUA and Bachelor degree from Yerevan State University, department of Economics. Marianna is a member of Association of Chartered Certified Accountants (ACCA). She has been the first prizewinner on several ACCA papers in Armenia. MBA with specialization in Finance and Accounting: American University of Armenia, 2006. BA in Economics: Yerevan State University, 2004. Eliza Tigranyan has joined the CBE team in Spring Semester 2014. 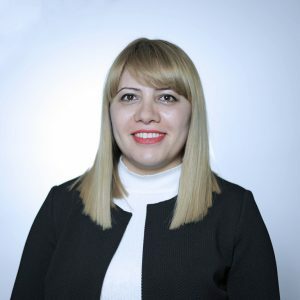 Ms. Tigranyan is a Fellow Chartered Certified Accountant and a member of Association of Chartered Certified Accountants (ACCA) of Glasgow, UK, Management Consultant and Armenian Licensed Auditor. She upgraded her professional knowledge in several Western European countries, USA and in the University of Cambridge, Judge Institute of Management Studies (UK). 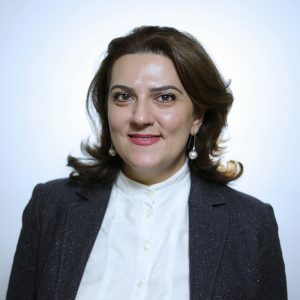 Ms. Tigranyan has about 25 years of combined experience in strategic business planning, financial management and forecasting, financial modeling, business and investment valuations, feasibility and sector studies, value chain analysis. She also has extensive experience in transaction support services and enterprise, project and NGO audit, internal audit; experience in loan disbursement, grant making activities and monitoring projects after getting financed. In addition, Ms. Tigranyan has conducted trainings for managers of established and startup companies, for the clients and staff of international organizations and banks. She has work experience in Armenia and in a number of CIS and Western European countries. 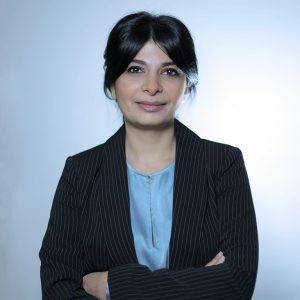 Ms. Tigranyan has extensive practice in project and company management and employment records in several international consulting companies and organizations. She worked for 17 years in Grant Thornton in Corporate Advisory Department and had a position of Senior Manager. Samson Avetian is Adjunct Faculty at CBE since winter 2015. He teaches micro and macroeconomics for undergraduates and has a 6 day annual commitment at Heratsi Medical University teaching fundamentals of business and economics for Executive MBA students. Mr. Avetian has MBA from Harvard Business School, MSc. In Financial and Industrial Management from Gothenburg University and BSc. in International Relations from Stockholm University. Mr.Avetian is also active in the private sector managing a boutique investment company Avetian & Co, is co-founder of Angel Investment Club of Armenia, advises and consults private sector entities, publishes economic research on the proprietary site Ainsights.am and is expecting to publish a book on Armenia’s economy since its independence. Book titled “Armenia’s Economy – the Next 25 years and 3 Ways to Restructure” is due to be published end of 2018. Liana Tadevosyan, MBA, adjunct instructor has joined the MSCBE team in the Summer of 2016. 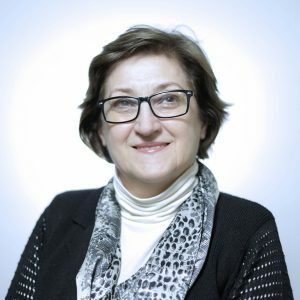 Mrs. Tadevosyan teaches several courses to bachelor students at AUA, such as Strategic Brand Management, International Marketing, Consumer Behavior and Integrated Marketing Communications. She received her MBA from Lund University, School of Economics and Management in Sweden in 2008. In parallel to her academic career, Mrs. Tadevosyan also is a founding partner at “Gradus Solutions” consultancy for strategic management; founding partner at “LAVNA” business initiative that promotes healthy eating habits and lifestyle. Throughout her career she has worked both in the non-profit as well as profit sectors and her marketing portfolio includes a diverse specter of industries. Currently Liana holds the position of the GM at Nova Hotel Yerevan, a boutique hotel on Sayat-Nova avenue.